Here we go again – straight from school to softball practice. I know I am not alone in the never-ending parent/kid shuffle. I am sure you worry about keeping your little athletes fed and powered up for a challenging day on the court or field, like I do. 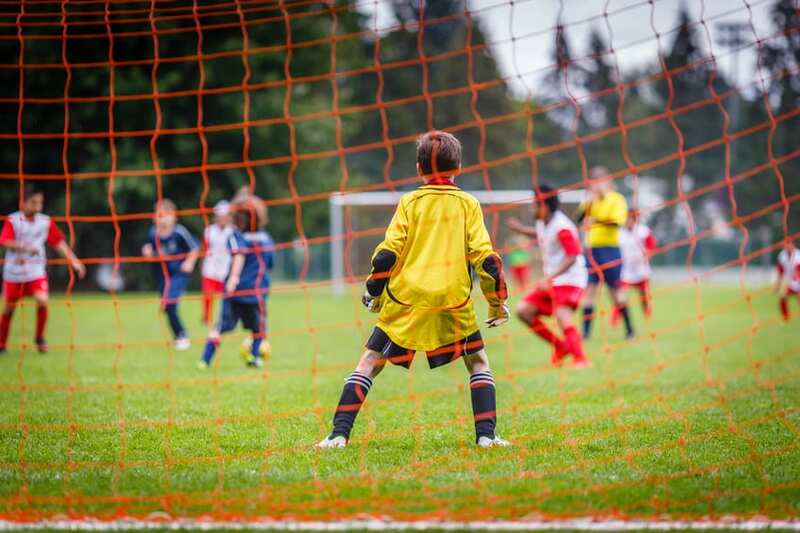 Whether it’s softball, dance, soccer or basketball – it’s important to make sure we are providing our kids with appropriate snacks to keep them going when they are participating in athletic activities. And while I totally get the convenience of grabbing a granola bar or Pop Tart, is it really benefiting our kids nutritionally? Too much fat, too much sugar and not enough protein. For our family, my goal is to provide Isabella and Cameron with a light, but healthy, option before they participate in their sport of choice. Ideally, something with a good balance of protein and carbs. The protein in these options stays with my kids as they work up a sweat, and the carbs give them a nice, quick burst of energy. It’s also important that we as parents model good food choices for our kids. Before you hit the gym or head off for a run, or hike, consider snacking on the items above for maximum energy, too. 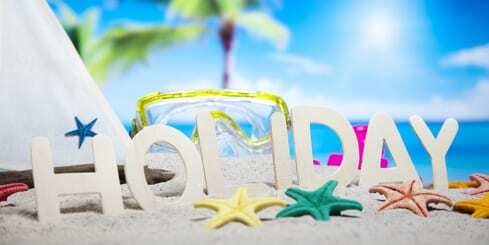 One of the most popular summer vacation destinations is the beach. Time on the beach is fun time. The good news is your children are probably too busy and too hungry to care about what they eat. They’re too distracted with the waves they’re riding and the sand castles they’re building. Take advantage of that distraction and feed them healthy foods to keep their energy up. Some may think there is no to way to keep up the 80/20 rule at the beach, and I disagree wholeheartedly. 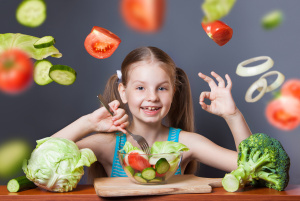 When I talk to children about the 80/20 rule, eating healthy foods 80 percent of the time, I explain that for every four healthy things they eat, they can have something indulgent. Balancing that 80/20 can be difficult, but the best way to teach your children to make healthy choices is to provide them with as many healthy choices as possible. Every one of these ideas could be just as easily executed from the grocery store aisles at the beach as it can with a little planning from home. Snacks: There are so many choices! Hummus can be very portable, tastes good at room temperature and is a great companion to all kinds of vegetables, including baby carrots, cucumbers, sliced bell peppers and snap peas. Another great companion for vegetables is black bean dip, which also tastes good at any temperature. You can find it in a jar with most salsa displays. Personally, celery and peanut butter is highly underrated. Make it “ants on a log” with a sprinkling of raisins for a little touch of sweetness. The main meal: Instead of taking traditional sandwiches with deli meat and cheese, along with soggy tomatoes, try the good old fashioned fallback: peanut butter and jelly (on whole wheat bread). If you want to avoid sandy hands all over bread, try a batch of sesame noodles loaded with fresh or lightly sautéed veggies. They are just as good cold as they are warm. Make them with whole wheat noodles for a serving of complex carbohydrates. Sides: Popcorn is a great alternative to chips to accompany a sandwich. You can make it yourself at home or find a healthy version in the chips aisle at the grocery store. And what can be simpler than sliced apples for some fresh crunch? If your family shies from apples that have browned, here are some ideas for preventing the oxidation that causes it. Or buy them pre-sliced from the store. Peanut butter or any nut butter is a great accompaniment to apple slices. • Dessert: Cookies for everyone! Here is where the 80/20 rule kicks in. Cookies are easy to eat and easy to portion. Personally, I’m partial to a cookie from my childhood, a throwback if you will. Remember those strawberry, chocolate and vanilla cream-filled sugar wafers? They’re actually not as high in sugar as you would think, plus they’re light and fluffy and easy to eat on the beach. Drinks: Water is the best thing take to the beach. All day in the sun can quickly lead to dehydration. Make your own flavored water with some easy added ingredients such as lemon slices, mint, raspberries, blackberries, strawberries or oranges. As with any food you would eat in a picnic setting, be sure to store with ice to keep your food fresh for as long as possible. You wouldn’t let your children stop saying please and thank you, or let them ride without a seat belt just because you’re on vacation, would you? Like all the lessons we teach our children, such as manners and safety, healthy eating is an all-the-time lesson. Instead of taking a vacation from healthy eating, use it as an opportunity to show how to stick to those healthy habits even when you’re outside the regular routine, like having fun on the beach. Candice Imwalle, author of the book Sir Morgan and the Kingdom of Horrible Food, has been nominated for the MASK (Mothers Awareness on School-Age Kids) Moms Making a Difference Unity Award. The annual Unity Award recognizes and celebrates women who are making a difference in the lives of children and families every day. Imwalle was nominated for her work to help end childhood obesity through her book Sir Morgan and the Kingdom of Horrible Food. The healthy eating fairytale is a way to initiate conversations between parents and children about making smart food choices. Online voting for the Unity Award is open at goo.gl/d0cRdJ. MASK readers and community members are invited to vote for their favorite mom once per day, per email address now through Friday, Feb. 5, 2016. The top 15 nominees will be announced Thursday, Feb. 11, and the final round of voting will end Monday, Feb. 29. The award recipient will be announced at the “Moms Making a Difference” Unity Award Luncheon Thursday, March 3, at the Fairmont Scottsdale Princess. For more information about Sir Morgan and the Kingdom of Horrible Food, visit Amazon. Why All the Fuss Over Whole Grains? We hear all the time that whole-wheat bread is a better choice than white bread and brown rice is a better choice than white rice, but why? And what is the difference between the two? Whole-wheat bread and brown rice are a healthier choice because they contain the entire grain, which has vitamins and fiber. 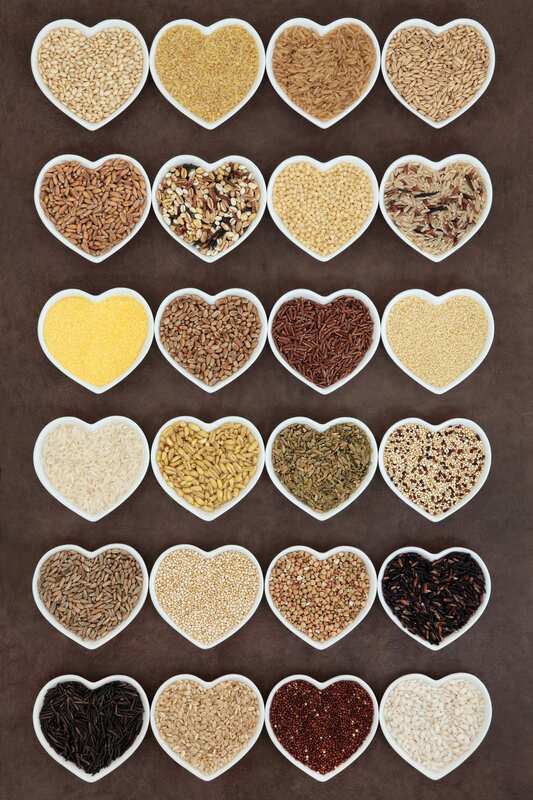 Some examples of whole grains, are whole-wheat flour, oatmeal, whole cornmeal and brown rice. Refined grains, like white flour and white rice have been processed and the vitamins and fiber have been removed. 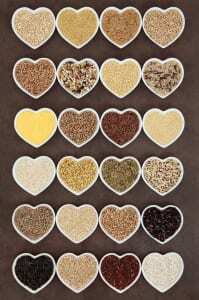 Many refined grains are enriched and the vitamins are added back into the grain after it is processed; however, they are still missing the fiber. According to the United States Department of Agriculture (USDA), most Americans eat enough grains, but few are whole grains. The USDA recommends at least half of the grains you eat should be whole grains. So next time you go to the grocery store, read the ingredient labels before you purchase breads or crackers to see if they are made up of whole grains. If it says “enriched,” move on. “Enriched” is a very nice way of saying the item has been processed! Tell me, have you made the switch from “enriched” to whole grains? Do you have any tips for making the transition? Fruits and vegetables are full of vitamins and minerals that help keep us healthy. Making sure we are incorporating enough fruits and vegetables into our diets can be a challenge at times for both adults and children. So, how many fruits and vegetables should we be eating? The Centers for Disease Control and Prevention has a Fruit and Vegetable Calculator so you can calculate the amount recommended for you and your children. Typically, fruits are an easier choice for children to eat because they are sweet in taste. If you have trouble getting your children to eat their veggies, WebMD.com provides some clever tips on ways to get them to eat them. Lead by example – Parents need to make sure they are eating their vegetables in front of their children so they can see that their parents are enjoying them. Make your own popsicles and smoothies that have vegetables in them. There are delicious tasting all-natural “Green drinks powders” that taste really good since they have a chocolate cocoa added to them, this can be an option to the actual vegetable if they give push-back. My kids know that they have to eat at least one vegetable at every meal, so even when we eat out, they make sure they get one with their dinner, even if they have to order it off the side dishes. I hope you find these ideas as fun and helpful as I have. What’s your go-to veggie for your kids? I’m so excited to have been interviewed for an article in the Scottsdale Independent and the Paradise Valley Independent. You can read the story here: http://bit.ly/1GfVCPm. 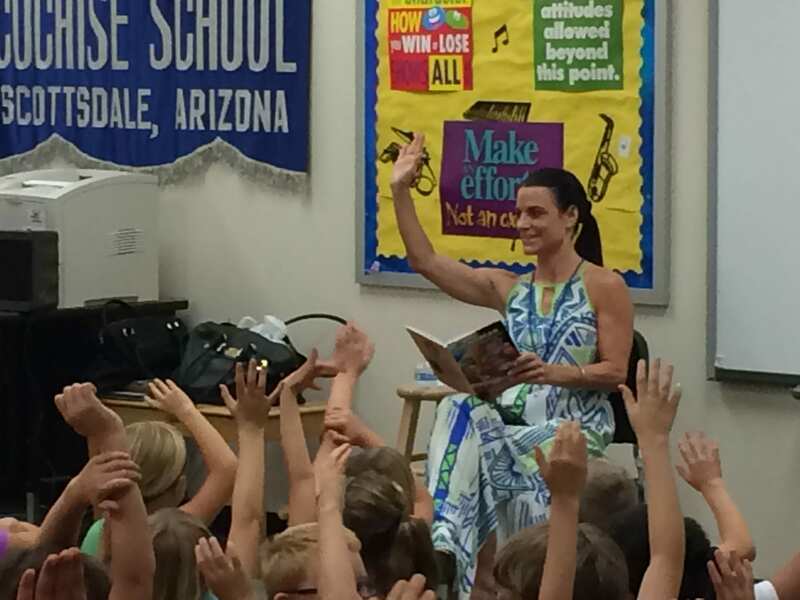 They interviewed me because I went to a couple schools in the Paradise Valley and Scottsdale Unified school districts to read “Sir Morgan and the Kingdom of Horrible Food.” I really enjoy reading to them all and talking to them about making healthy decisions. Not only do they ask insightful questions, they tell some really great stories about the food they eat home! As long as they’ll have me, I see more school readings in my future. 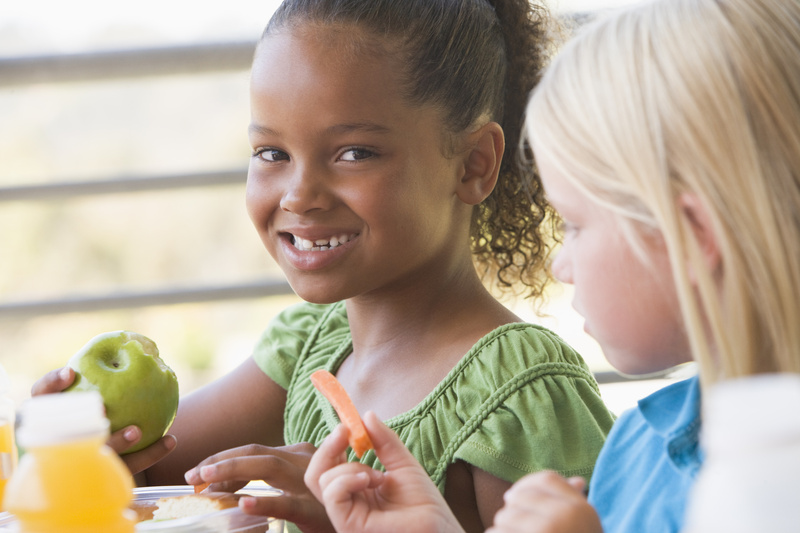 Preparing lunches can get monotonous for you to make and for your child to eat. The solution? Pack lunches with your child! Come up with some fun and healthy ideas and make a list for the grocery store together. Many times I find that my children will eat more of their lunch because they helped to plan and pack it with me. It’s important to point out that you don’t always have to pack the traditional sandwich. There are alternatives to sandwiches that can still provide protein and good nutrition. Choose at least four things from the list below and ensure there is a variety of items, i.e., fruit, vegetables, protein and whole grain. Each week ask your child to select a different fruit or vegetable in alphabetical order. For example, start with apples, bananas or blueberries and then carrots and so on. This is a fun way for your child to eat a variety of fruits and vegetables, and maybe even try some new ones! Lastly, it is OK to give them a small dessert, just make sure you follow the 80/20 rule… Only if they eat at least 4 healthy things. Feel free to add to this list. What’s your favorite healthy lunch item for your kids’ lunch box? Wear sunscreen – Apply a facial sunscreen daily, and be sure and protect the rest of your body with sunscreen when you are going to be in the sun for an extended period of time. Don’t forget a big hat to shade your face, neck and chest. BONUS TIP: Just because you keep the sun off your skin, you don’t have to be pasty white. There is body makeup you can use to make your chest face and neck appear tan. Getting a tan with the sun will make your skin look like crepe paper and discolor it. Too much sun is also one of the first signs of aging. There are ways to reverse this damage such as photo-facials and acid peels. 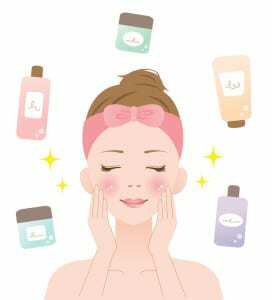 Moisturize – Keep your skin moisturized with facial and body lotions that keep your skin looking and feeling smooth. BONUS TIP: Use your face lotion on your neck, chest and hands. Just because it says “face lotion” on the bottle, it doesn’t mean you can’t extend it to other parts of your body that are similar in texture and fragility. I also love Shea butter for under my eyes and for my eyelids. Stay hydrated – Drinking water helps to keep your skin hydrated. When your skin is dehydrated it can look dry and show more wrinkles. BONUS TIP: Avoid straws in your drinks because using them creates vertical lines around your mouth, similar to the way a smoker gets wrinkles around their mouth. Wash your face – You should do this in the morning when you wake up and then again before you go to bed to remove dirt and oil from the day. Be sure to wash off all of your makeup because it can clog pores, which causes acne. BONUS TIP: Use mineral make up. It’s nutrition for your face and makes skin smooth and covers imperfections such as hyperpigmentation, acne, etc. Exfoliate – When you exfoliate, you are removing dead skin cells from your skin’s surface. I do my body every day with a salt or sand-based gel and shower gloves. It’s a good idea to use a facial soap that has an exfoliator in it one to two times a week. Your skin should feel softer after you exfoliate. BONUS TIP: I use 15% glycolic lotion by Vi* on my body and face three or four times per week. It exfoliates face and body for smoother, less crepe paper-looking skin. They also have an awesome peel called Vi Peel for the face, neck and chest. It peels off multiple layers of skin and stimulates collagen for several months. These five tips are easy and simple to make habits. Your skin will thank you for it! Do you have any tips I can use? *My endorsement for VI is not paid, but simply my opinion and preference for this type of lotion and the peel. It’s okay to treat yourself and enjoy your favorite ice cream, cookie or candy. However, I aim for the 80/20 rule. Eighty percent of what you eat should be healthy, and the other 20 percent can be splurges. So, basically for every eight foods you eat, you can have two that are more on the junk food side of things. To make it easier for children to understand this rule, tell them that for every four healthy foods they eat, it is okay to eat one unhealthy food. I follow this rule, and believe it is a great approach to moderation. By allowing yourself to eat sweet treats every so often, you won’t be tempted to over-indulge because you never allow yourself to eat sugary sweets or snacks. 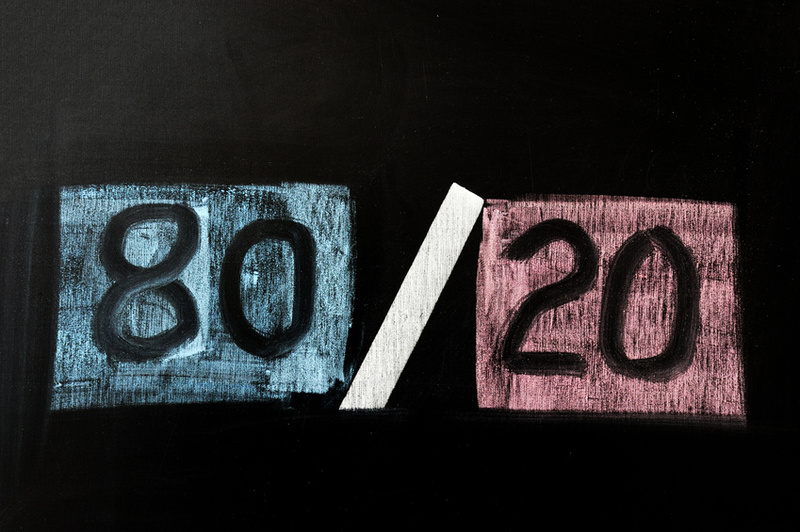 The 80/20 rule is a good way to keep track of the food you eat, so there is no questioning whether or not you can have that piece of chocolate cake. As you take on your New Year’s resolutions, remember this rule. It allows for wiggle room and it’s forgiving. Fish is a great source of lean protein. According the American Heart Association (AHA), it’s also a good source of omega-3 fatty acids, which benefit the heart of healthy people and people who are at risk or have cardiovascular disease. In fact, the AHA recommends people eat fish twice a week, and fatty fish such as salmon, mackerel, herring, lake trout, sardines and albacore tuna are high in omega-3 fatty acids. There are lots of simple fish recipes out there to choose from when you have fish on the dinner menu. I found a simple recipe that both kids and adults will enjoy in Eating Well magazine. Combine flour, salt and pepper in a shallow dish. Thoroughly dredge fillets; discard any leftover flour. Heat oil in a large nonstick skillet over medium-high heat. Add the fish, working in batches if necessary, and cook until lightly browned and just opaque in the center, three to four minutes per side. Serve immediately. 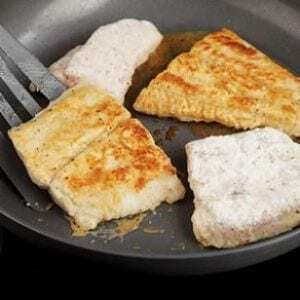 If you want to make the fish fillets gluten free, just use a gluten free flour mix, gluten free bread crumbs as an alternative to the flour or use the same ingredients I used in my chicken strips recipe. Enjoy! December 29, 2014 , No Responses.